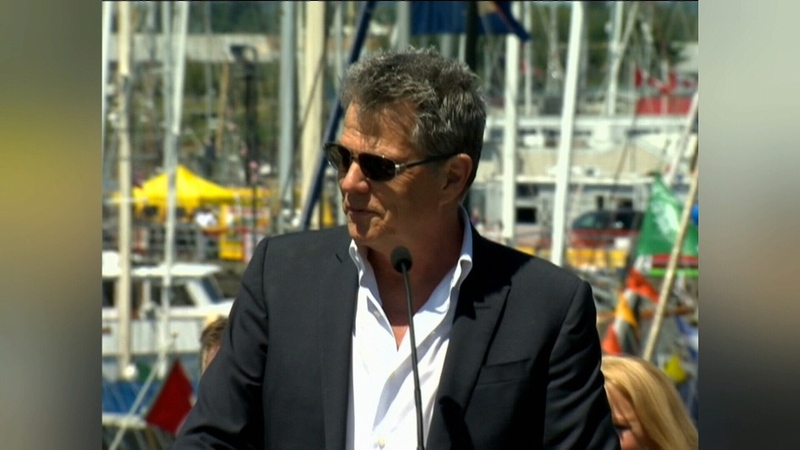 The group representing music legend David Foster says the Victoria native expected the city’s planned David Foster Harbour Pathway to be finished years ago. Michael Ravenhill, the CEO of the David Foster Foundation, says Victoria council told Foster in 2012 that it would take a maximum of three to five years to build the 5.8-kilometre path from Ogden Point to Rock Bay. Seven years later, and more than a decade since the walkway was first approved by council, it’s still a work in progress. “It is very disappointing and it is very disappointing for David and it’s a little embarrassing I think for him,” says Ravenhill. Ravenhill says Foster and the foundation both get asked regularly when the walkway will be finished. He also says he’s tried to get numerous updates on the pathway’s progress from Victoria staff. “The last word I had was that they were working on it but I’ve heard that for the last four years – the same messaging,” Ravenhill says. 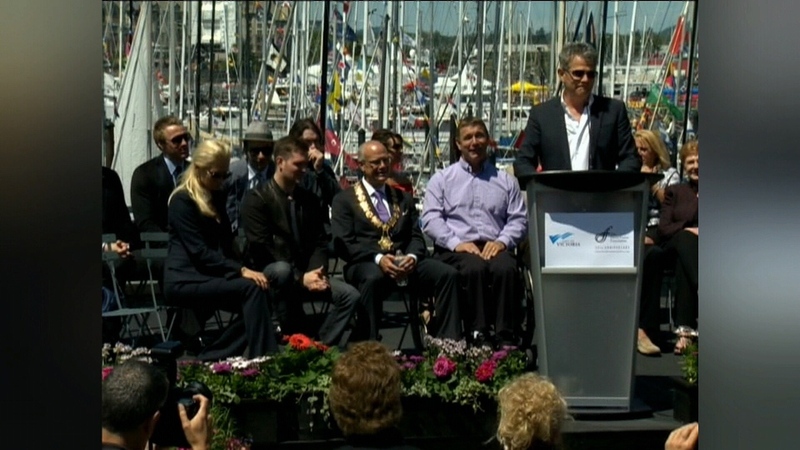 In May 2012, Foster joined former mayor Dean Fortin at Ship Point to announce the city’s decision to name the 5.8-kilometre walkway after Foster. At the time, Foster said he had plans for the walkway and was excited for it to be finished. He spontaneously offered up $50,000 of his own money to help fund the path which, at the time, the city estimated could cost $40 million. Speaking to CFAX 1070’s Al Ferraby on Monday, Foster spoke about receiving the Juno Awards’ 2019 Humanitarian Award honouring his lifelong commitment to philanthropy. 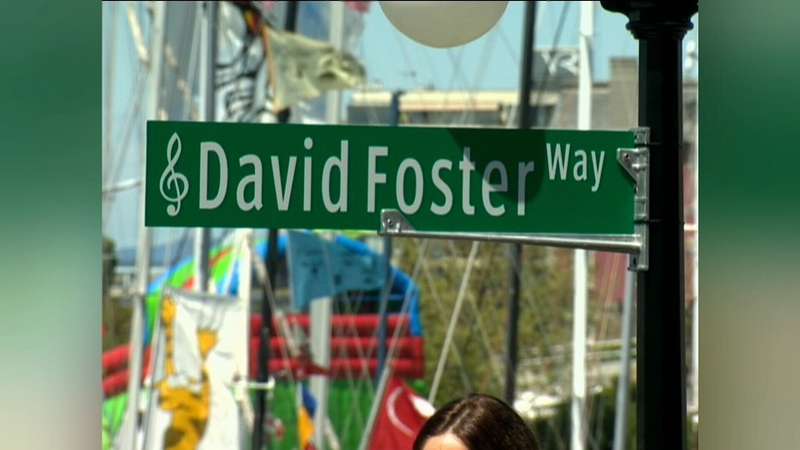 Although there was no mention of the walkway, Foster did say he continues to promote Victoria and was pushing to have the capital city be considered as a potential host city for the Juno Awards. Ravenhill says given Foster’s love for his hometown, it’s difficult to see the pathway not being completed. Victoria city staff say there are 70 waterfront properties that need to be secured for the pathway to run the 5.8 kilometres uninterrupted. The city says it has secured access to 52 of those properties. Most of the land needed to complete the path is located north of the Johnson Street Bridge from Herald Street to Rock Bay. There is no timeline for when the path could be completed. Staff say Victoria council is expected to update its harbour walkway plan sometime this year. David Foster will be in Victoria in July as part of his Canadian tour, though a firm date has not been set. He is also working to secure a PBS special which he expects to film during his Victoria performance.